Happy Monday Maharanis! We hope that the month of March has started off well for you. Today, we grab our sunnies and tropical drinks and head to the beachy sands of Mexico. 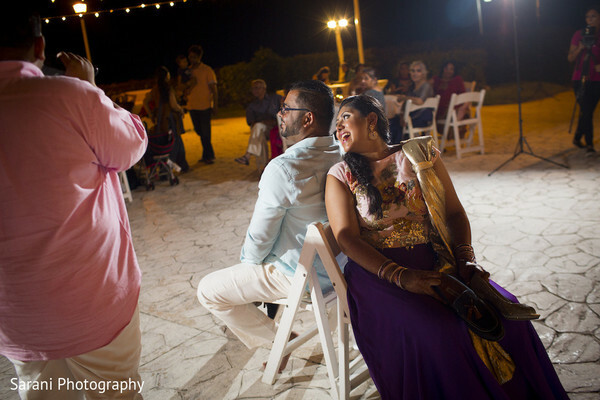 Maharani Avani had been dreaming of a beach side wedding and when she contacted international wedding planner Yanet Zavala, her wedding was here before she knew it! 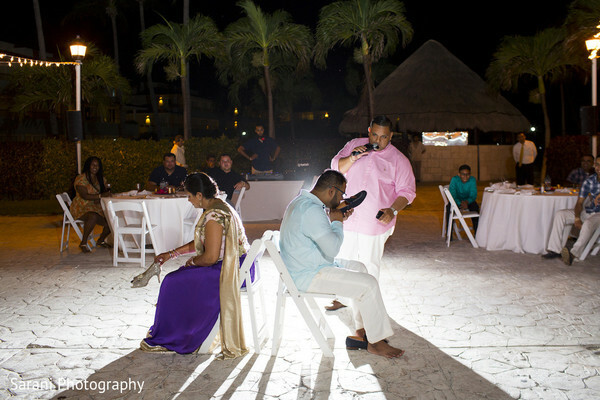 The week long festivities incorporated a twist of Indian flair with seashells and shades and began with an entertaining sangeet at the Lake Terrace at Moon Palace in Cancun. Guests enjoyed tropical drinks, cuisine crafted in house and danced the night away to the beats of M4U Events. 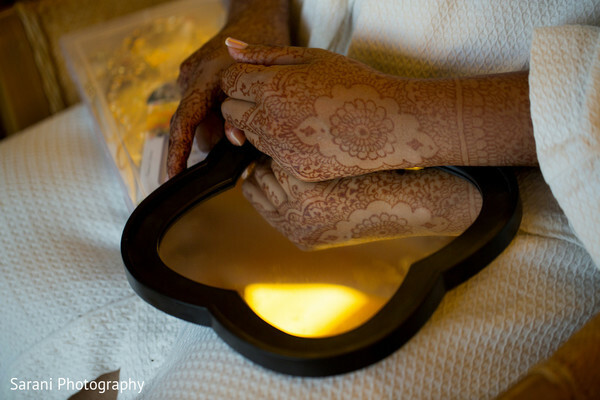 The events also included a henna night where Veronica de la Paz worked her mehndi magic and designed bridal henna with a Rajasthani theme in mind. 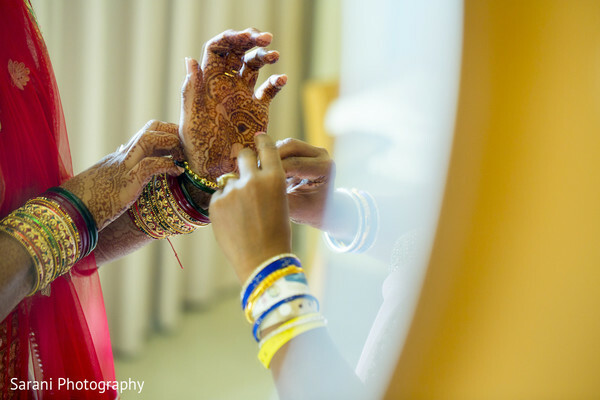 Both of Avani’s arms showcased a classical Maharani and Maharaja! Simply gorgeous. 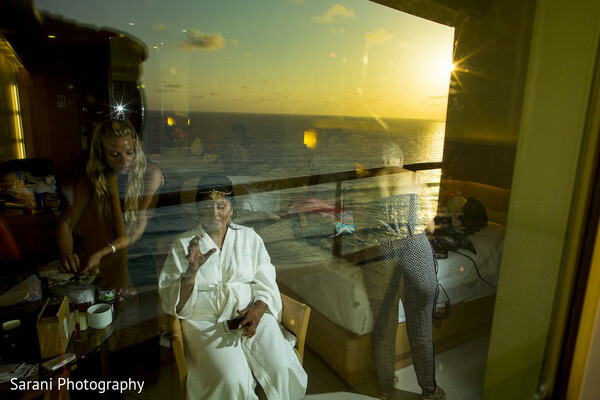 The morning of her wedding, the bride got up bright and early to Styling Trio, who was ready to work their magic. 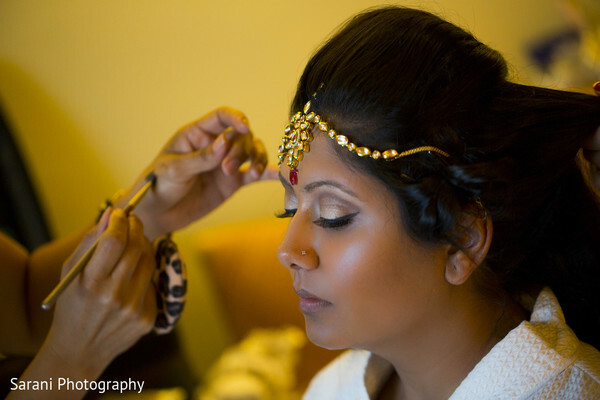 The bride slipped into a classical red and white lengha with gorgeous gold jewelry taking center stage. In the distance a baraat ceremony was slowly making their way into the venue and we have all the information for you in our next post coming up soon! 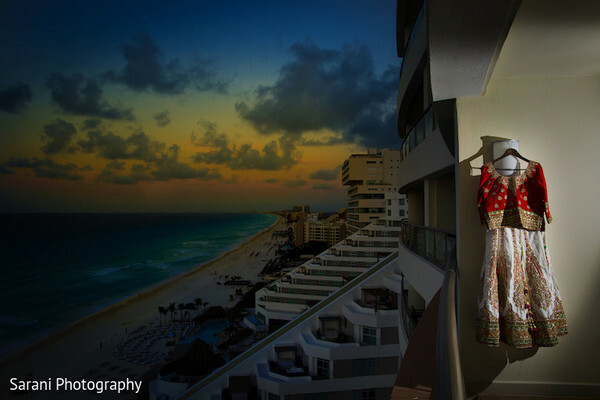 In the meantime, head into the gallery where Sarani Photography has captured the most picturesque beach setting images! 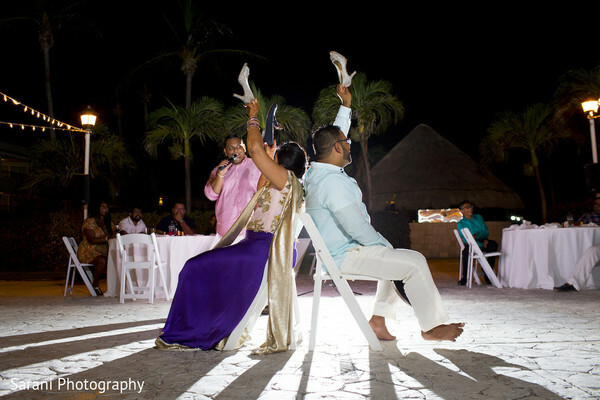 Guests were invited to the beach side wedding with invites from Avasar Cards. 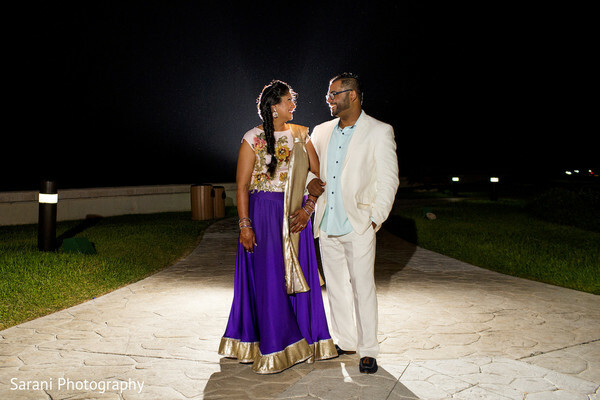 See your in a twinkle as we dish out the details of the wedding and reception! 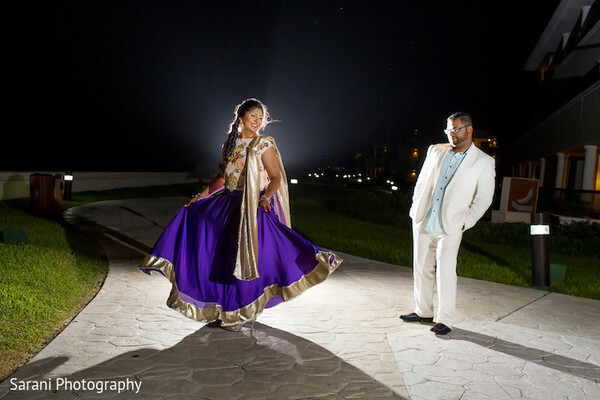 Indian Destination Weddings is a member of the Platinum Guide. Love what you see? Explore their portfolios.